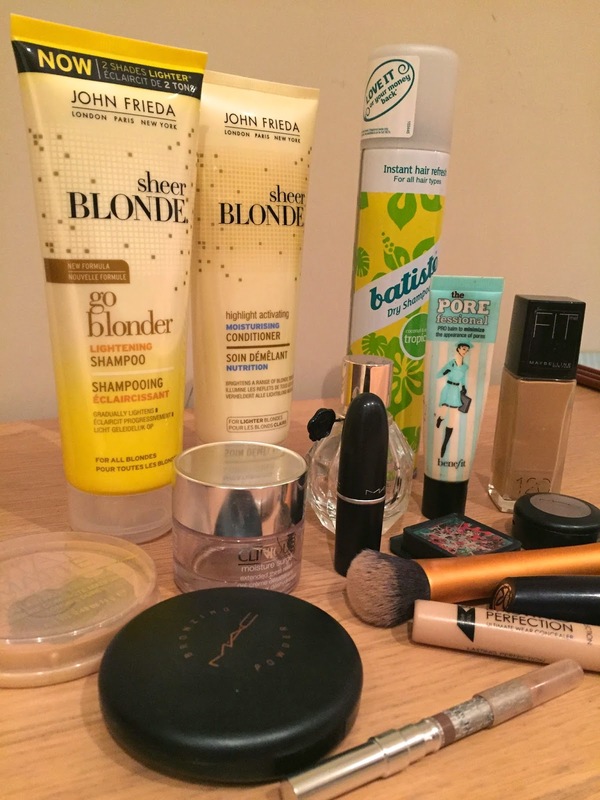 Here are all my Beauty favourites for 2014. I have tried to link each product to where it is available to buy. I have also tried to link a related post from over this year. I have noticed my collection grow over this year and defiantly become more pricy! This year I'm planning to use up products before buying new ones as a lot of items are now getting neglected. I think If I had to pick one item that I love from this year the Real Techniques Expert face brush springs instantly to mind. I think its the best brush in my whole collection and really changed my make up application. A close second is my Mac Patina eyeshadow. I use this on a daily basis I LOVE it. I never hit pan on Mac shadows but I have with this, I truly recommend. So here they all are, I hope you find something new you may want to purchase too. Foundation: Maybelline Fit me foundation - I think this is a great Nars sheer glow dupe. Concealer: Collection lasting perfection concealer - The best discovery I have ever made. 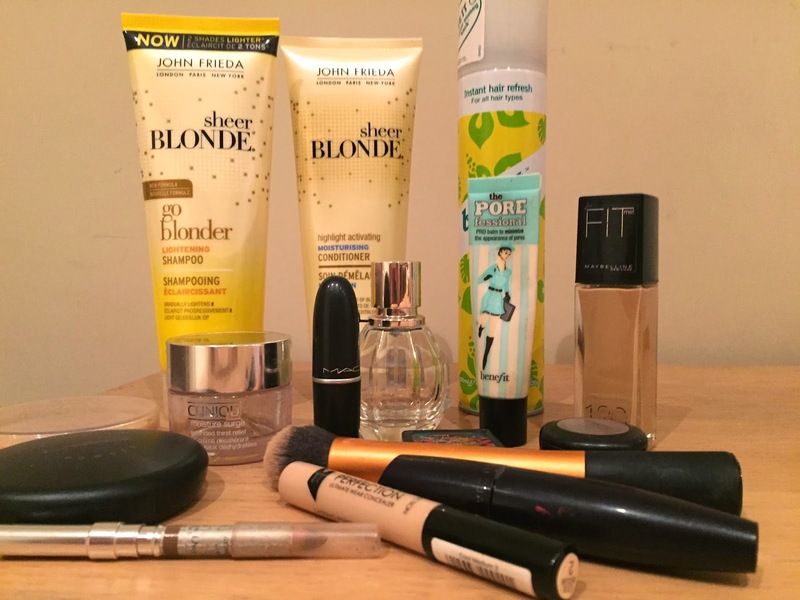 Featured in March's fashion and beauty haul! 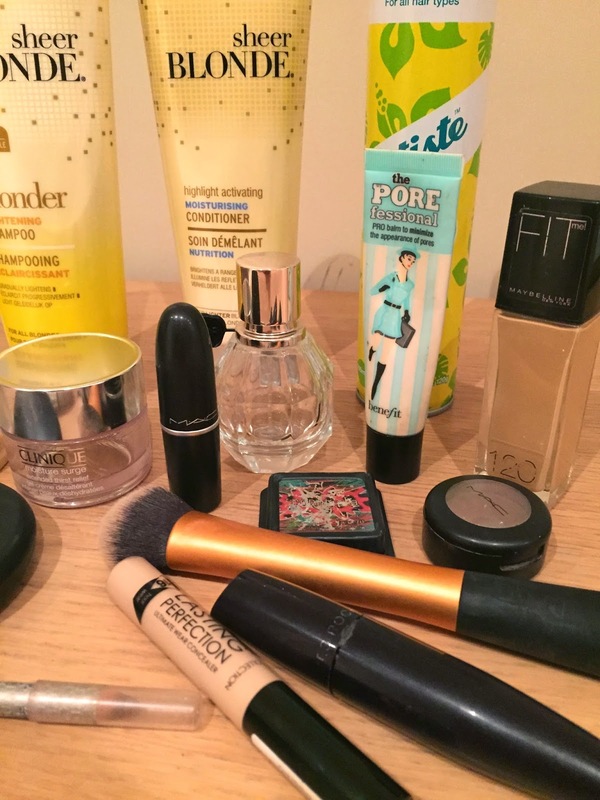 Powder: Rimmel stay matte - such a staple product in my collection - Featured in a Beauty haul! Bronzer: Mac bronzer - Always has been my fave. Blush: Benefit coralista - I only have a mini but I just love it so much I'm defiantly buying full size when it runs out. Eye Brow product:Dior eyebrow pencil in blond 653 Featured in my 2013 favourites ! I clearly love this product and it shows how long it lasts. Eyeshadow:Mac Patina eyeshadow - Featured in September favourites! Makeup Brush: Real techniques Expert face brush . A product that I don't know how I lived with out. Featured in September favourites! Hair Styler: Obviously has to be Batiste Dry Shampoo! - My most favourite product in the world again featured in Nov. 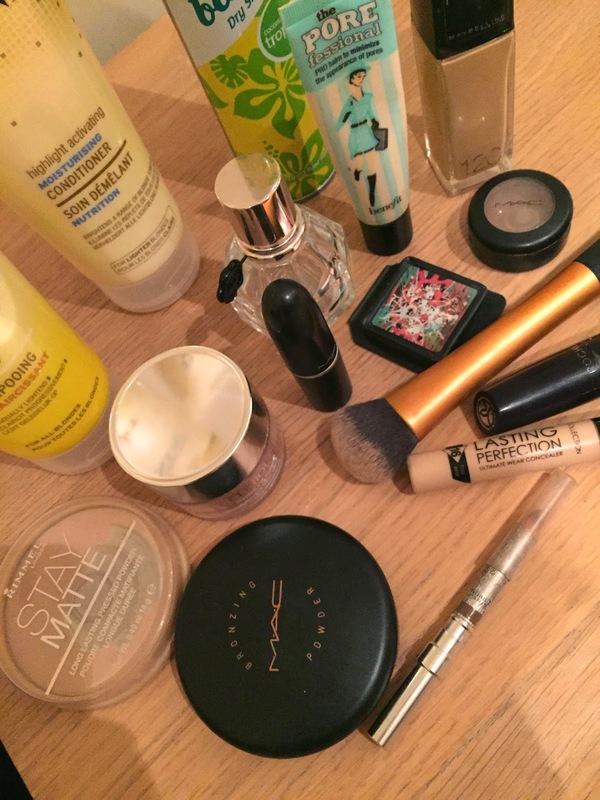 Monthly empties. Face creme: Clinique moisture surge - Featured in September favourites!